Q: I have noticed that my friend’s horse has one toe clip on his front shoes, but my farrier puts two clips on the front shoes of my horse. Is there a reason for the difference or is it just personal preference by the farrier? A: Hi Rebekah. It might be best to ask your farrier. But I suspect there is both, as per your question, a reason and a personal preference! 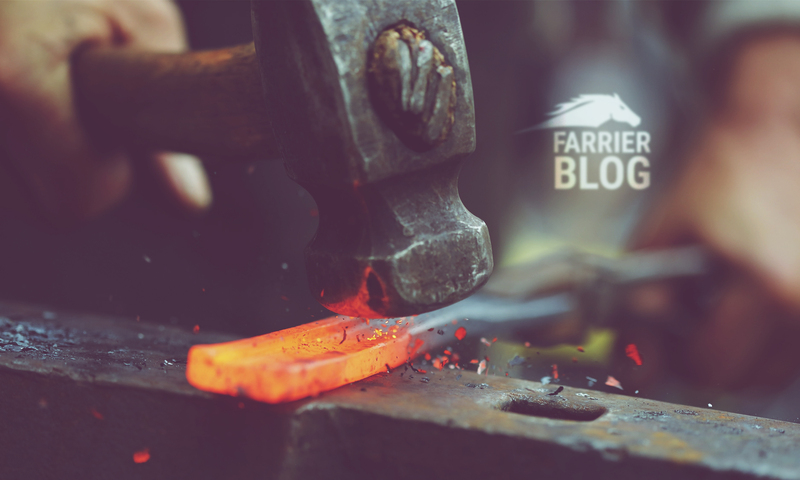 The personal preference element could be based on what your farrier thinks is best for your horse and also what they believe to be a better style of shoeing. Farriery is not an exact science – we all have our own opinions on what works well and how to achieve optimal results for the horse. Some practices are in contrast to others but both can sometimes give equally positive results. There isn’t always a clear cut right and wrong approach. Having said that, more farriers are using side clipped shoes on the front feet (with two clips). There’s a few reasons for this including to help break-over, in an attempt to improve performance and to help rectify some of the damage that owners are doing to the hoof angles by leaving the feet too long between farrier appointments. This in particular will allow the toe to grow long, the heels to crush under the excessive loading and potentially the foot to begin to collapse. Fitting the shoes with double side clips in front can allow the farrier to drop the shoe under the toe and in theory, bring the angles of the foot back in check – to potentially achieve some of the things we’ve discussed above. Farriers who are committed to shoeing horses with a single toe clip on the front feet might suggest that they get very good results with single clips and some argue fitting the shoes under the toes of the front feet can weaken or damage parts of the hoof wall. For horse owners, having a horse which is sound and performing well is hugely important. Having a good relationship and trust in your farrier should go hand in hand with the long term comfort of your horse regardless of the style of shoeing or nuances. If it’s working for you then don’t change it but if you show a carefully worded interest in the shoeing with your farrier then it could be a good opportunity to further your knowledge. Previous PostPrevious Will the feet on a rescue horse ever recover?